Stay where famous Austrian poets and writers have been – maybe you will even get inspired for your own novel? The Hotel Graben in Vienna was a famous hangout for authors Franz Grillparzer, Franz Kafka and Max Brod. 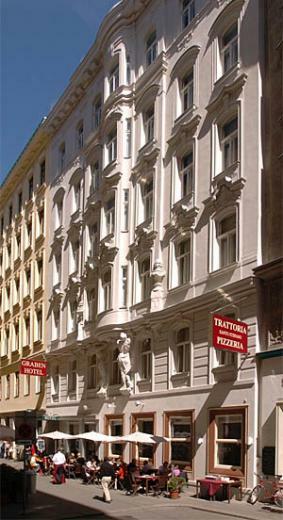 Book the Hotel Graben in Vienna now! 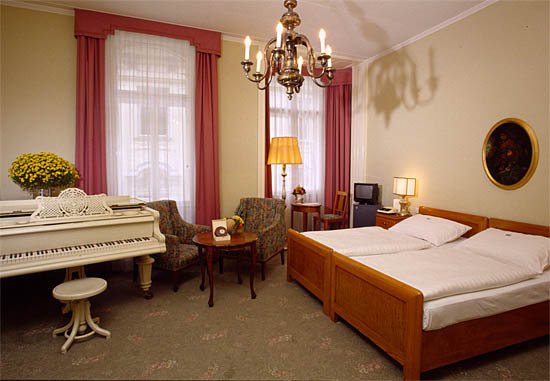 In 1927, the Hotel Graben was purchased by the Kremslehner Family and is since run in the family tradition. The hotel with its 52 rooms is the smallest house of the Kremslehner Hotels, and is true boutique luxury hotel. The hotel is situated in the city centre at the beginning of the old town district. It is named after the “Graben“, Vienna#s famous shopping promenade. All rooms have an individual character and are mainly furnished with Art Nouveau and period furniture. Staying there makes you feel like a great Austrian poet yourself! Inside the same building, you can also find the Trattoria Santo Stefano, an Italian Restaurant that well known for its Venetian classics.